Jacob deGrom: can’t move his head due to a stiff neck(?) and is having his scheduled start pushed back; Matt Harvey will start tonight. Yoenis Cespedes: felt some hamstring pain yesterday and is sitting out Friday’s game in the hopes he won’t have to go to the DL. Asdrubal Cabrera: something going on with his leg. Wilmer Flores: infection in his knee, staying in hospital for now; was placed on retroactive 10-day. Lucas Duda: hyperextended his elbow on a throw; placed on 10-day. Travis d’Arnaud: wrist injury; day-to-day. 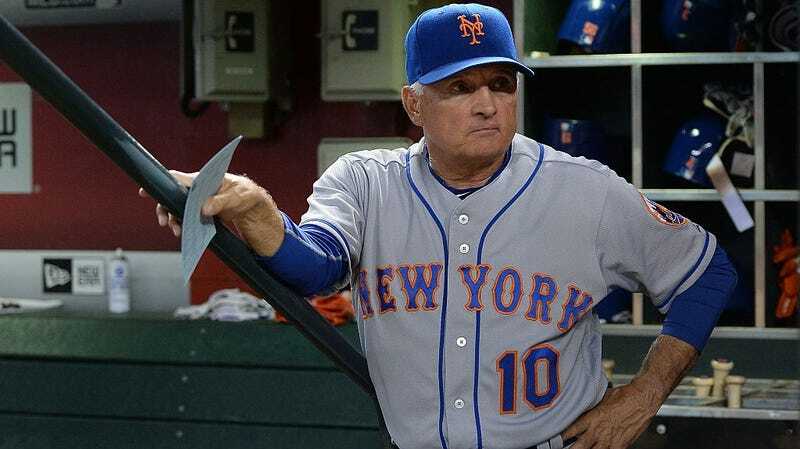 That leaves Neil Walker, Jose Reyes, Curtis Granderson, and Jay Bruce as the only starters left standing for tonight’s game against the Nationals. It should be a good one!